WEST WHITELAND TWP., Pa. (WPVI) -- Police are asking for the public's help tracking down a pair of car vandals caught on camera in West Whiteland Township. It happened at 1:22 a.m. Friday on Smallwood Court. 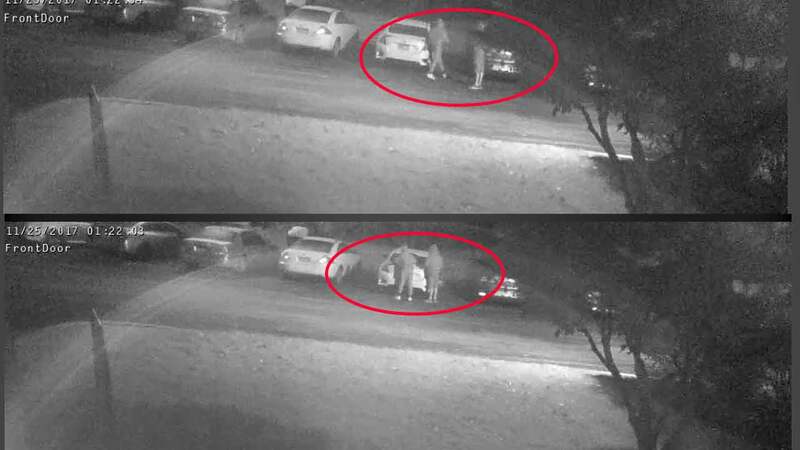 Surveillance pictures show two people standing near the trunk of a vehicle then leaving. No details were given on the nature or extent of damage done by the suspects. Anyone with information about the suspects or crime is asked to West Whiteland Township police Detective Scott Pezick at 610-363-0200 ext. 1017 or spezick@westwhiteland.org. Tipsters can also leave a voicemail on the department's Anonymous Tip Line at 610-594-9057.